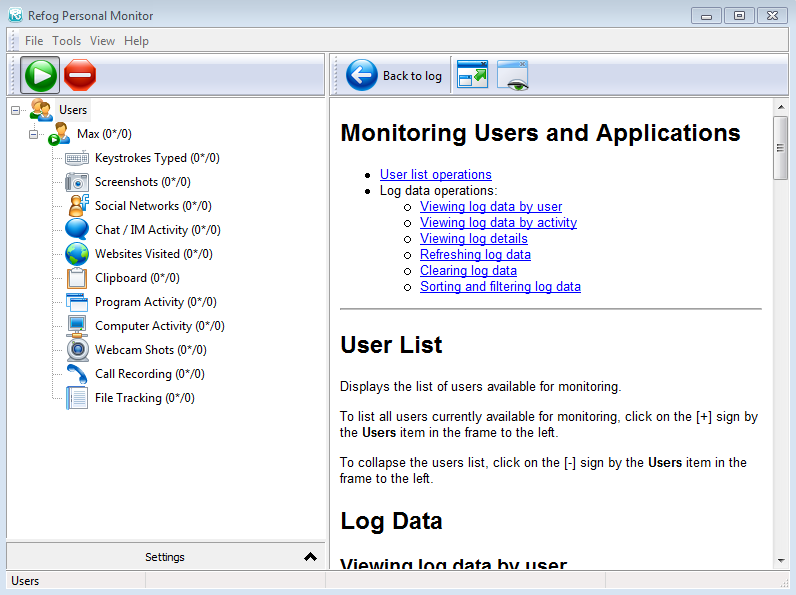 REFOG Personal Monitor is a typical representative of the keyloggers family, which can also take screenshots, save the history of visited websites and used applications. In addition, this program is able to copy the texts of outgoing and incoming messages from all popular instant messengers. Keylogger sends by e-mail all collected information about user’s activity. The presence of this keylogger in the system is indicated in several COVERT Pro monitors – “Hidden processes“, “Clipboard monitor” and “Monitor DLL“. 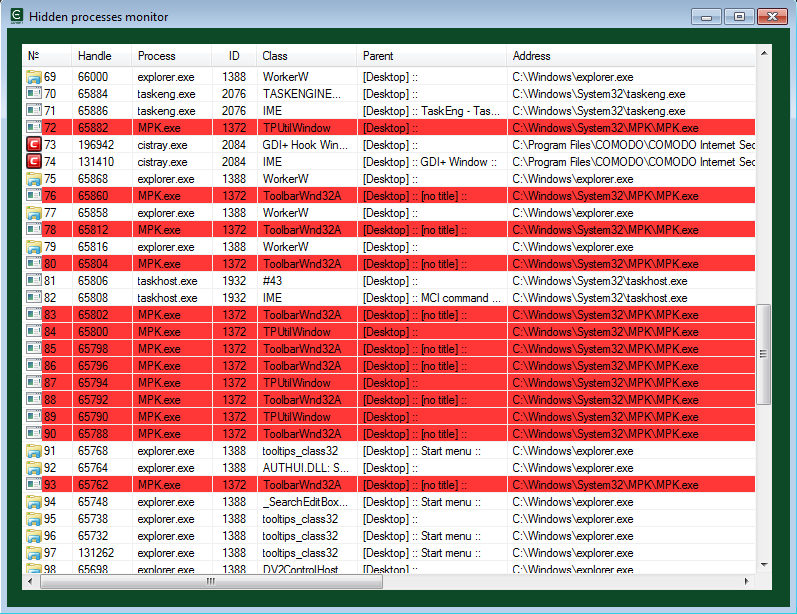 Below you will find screenshot of the “Hidden processes” monitor, which is located in the “System processes” window. The process MPK.exe is highlighted in red. “Clipboard monitor” can be opened through the context menu by clicking the right mouse button on the top frame of the main window. A process with the same name is waiting for the data changing in the system clipboard. We can see the main spyware file MPK.dll in the “Monitor DLL”. 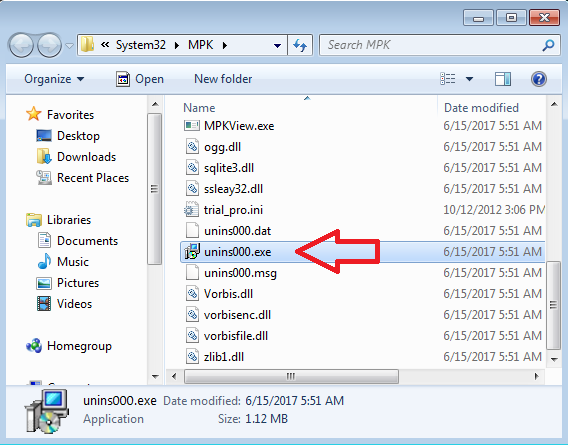 To remove REFOG Personal Monitor from your computer you should right-click on “MPK.dll”, and in context menu choose “Open the application folder”. In the opened window, run uninstaller unins000.exe and this program will be deleted. To disguise your actions from spyware, just go to the secure platform of COVERT Pro. 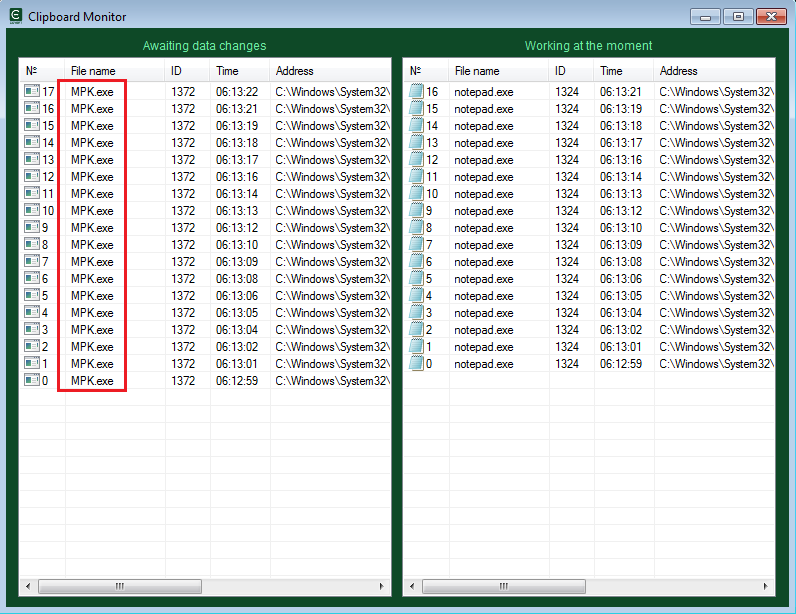 In the screenshot below, you can see how spyware’s logs look like after your work inside the secure platform. Scanning of Mpk.dll file showed that only two antiviruses consider the presence of REFOG Personal Monitor on your computer as a threat. Perhaps the keylogger’s developers have convinced antivirus vendors that their program is used only by parents to look after their children. Although it is hard to imagining the process of selling a spyware program, which is accompanied by verification of customer’s documents for the presence of underage children. We rate this spyware program as RLM: 7 / 1 / 0.